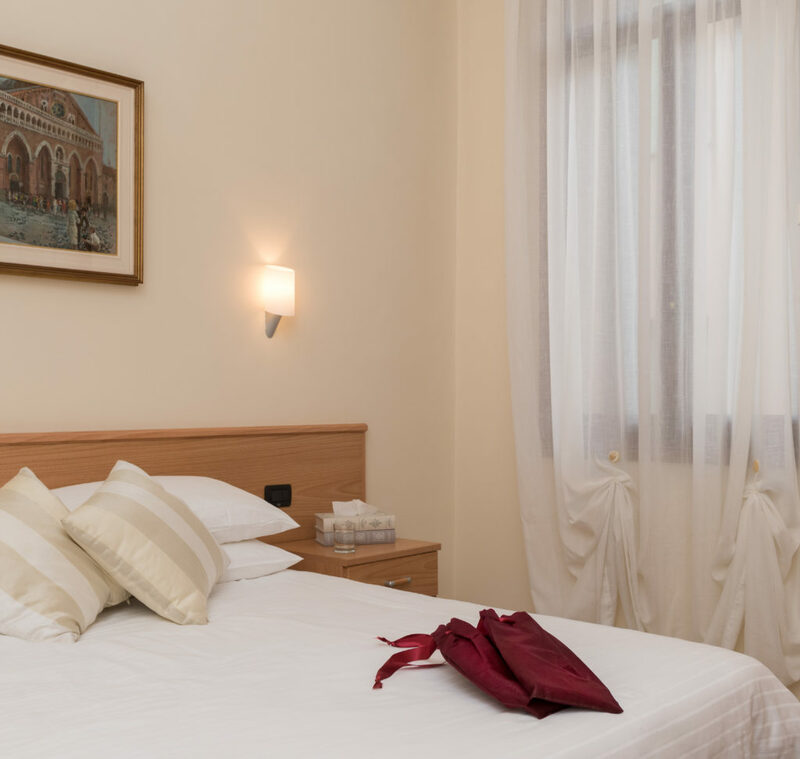 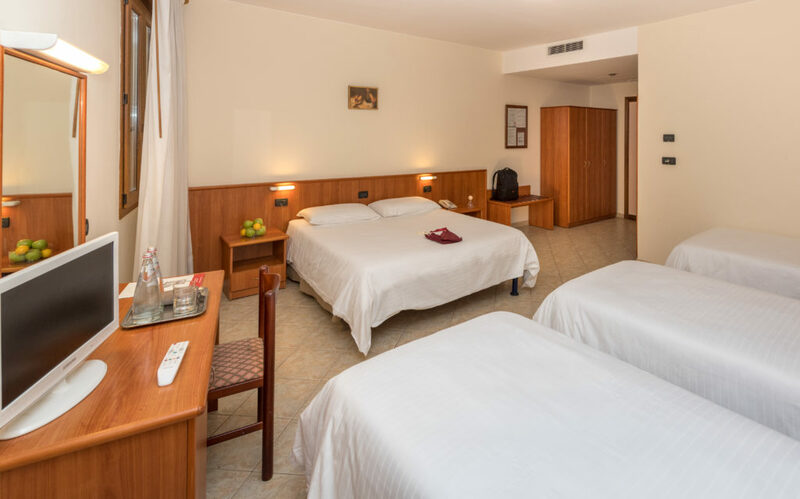 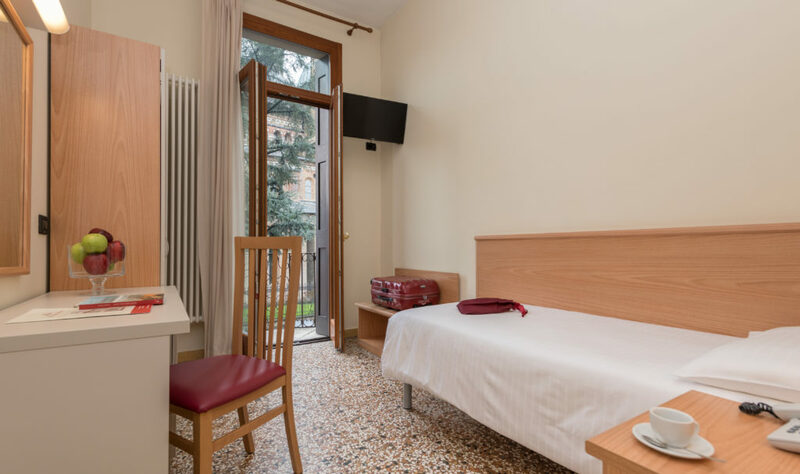 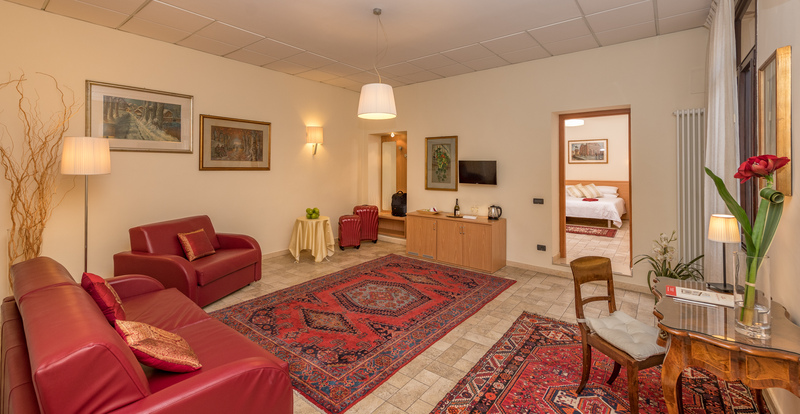 The hotel offers 147 rooms, all, from single rooms to the “Luxury” rooms, equipped with shower, air conditioning, hair dryer, telephone, safe, Free wi-fi internet and satellite TV. 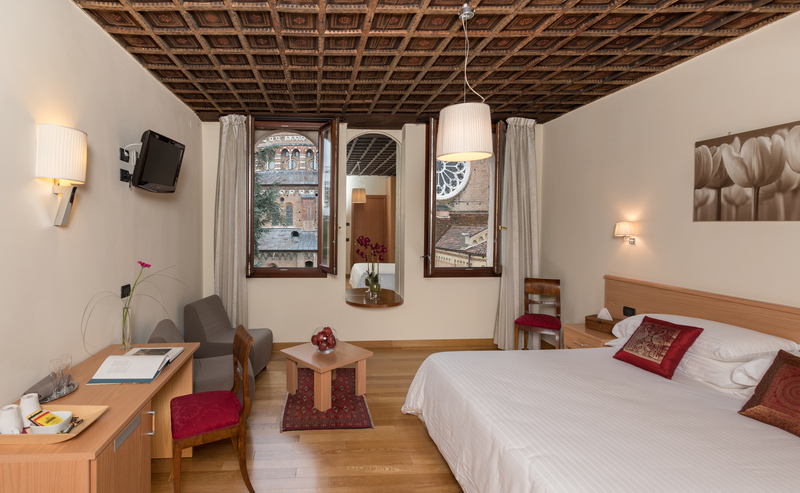 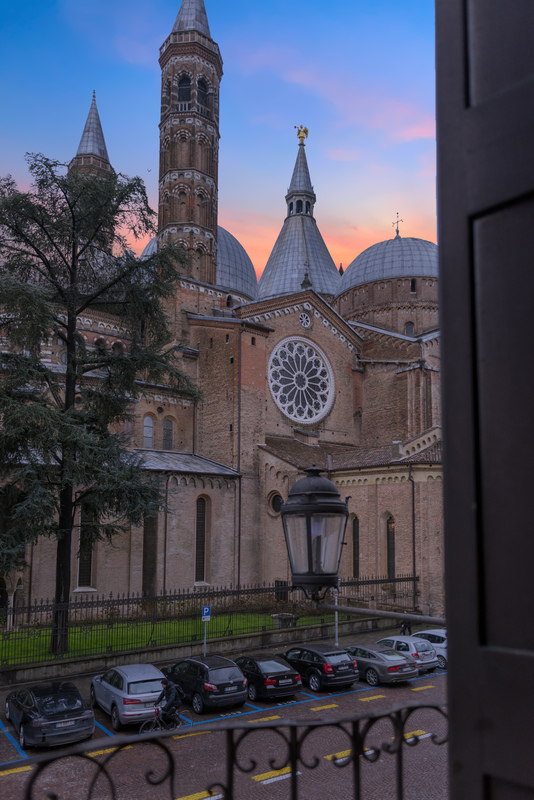 The rooms have a view on the quiet inner garden or on the majestic architecture of the Basilica. 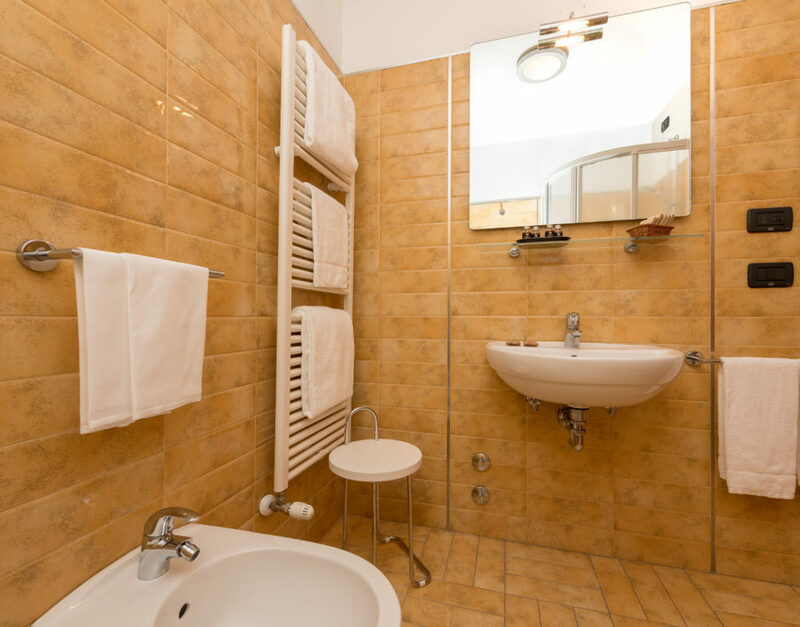 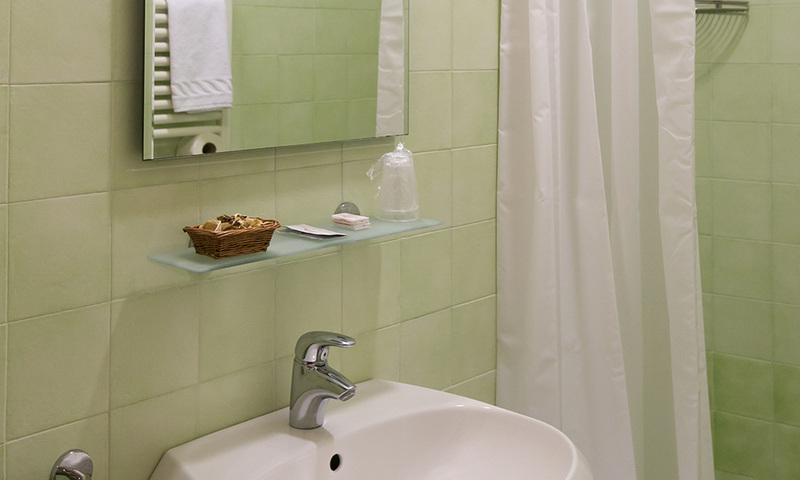 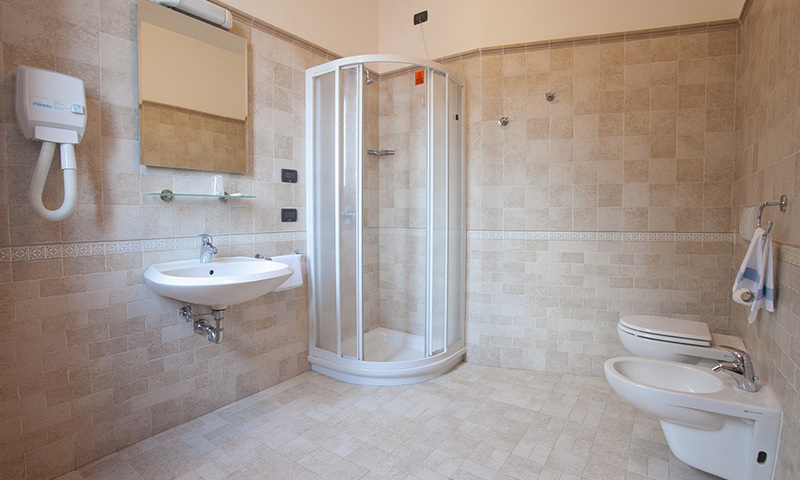 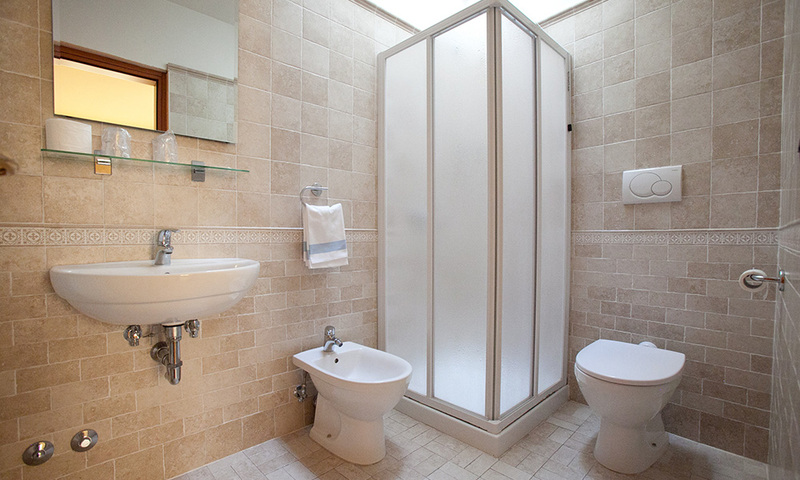 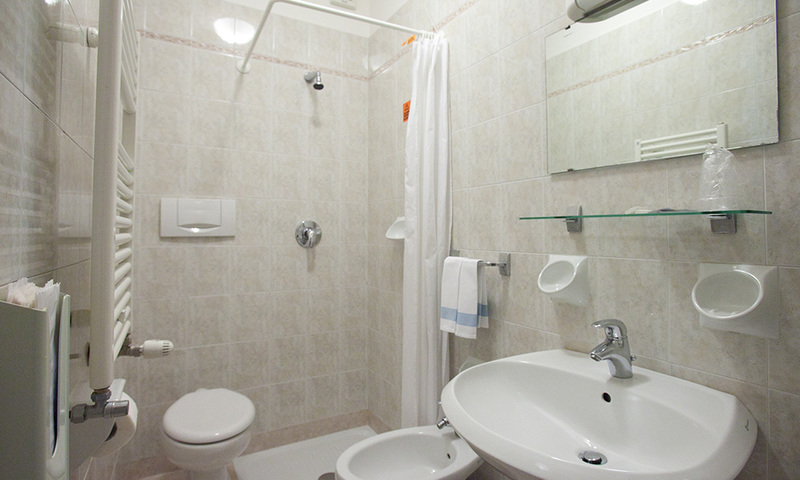 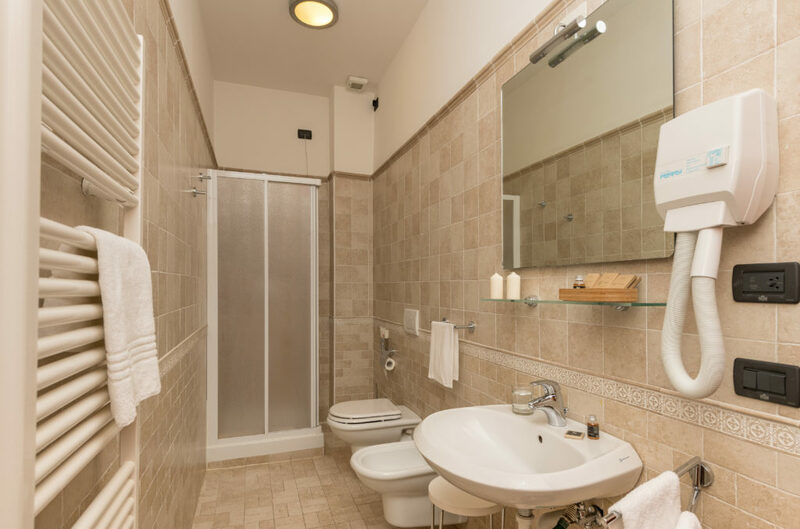 Room facility camera: Shower/WC in shared Bathroom, Sink/mirror in room, Internet Wi-Fi free of charge, Air-conditioning, Heating, TV, Telephone, Wake-up service, Desk, Free toiletries. 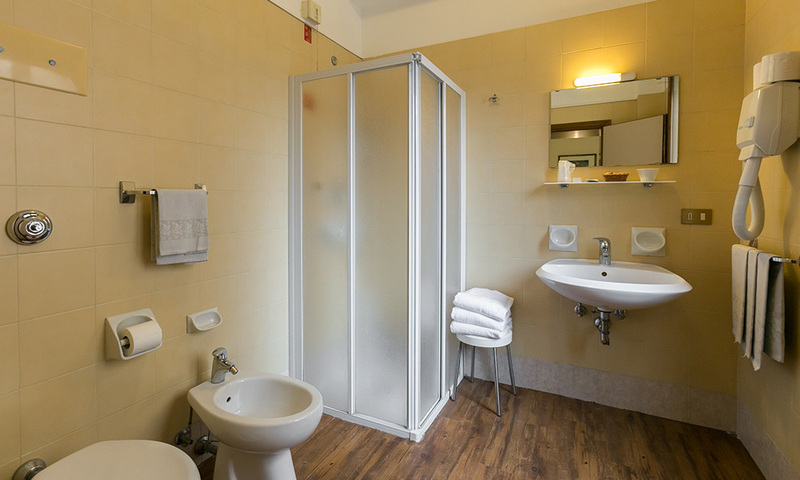 Room facilities: Shower/WC in private Bathroom, Internet Wi-Fi free of charge, Air-conditioning, Heating, TV, Telephone, Wake-up service, Desk, Hairdryer, Free toiletries, Safe. 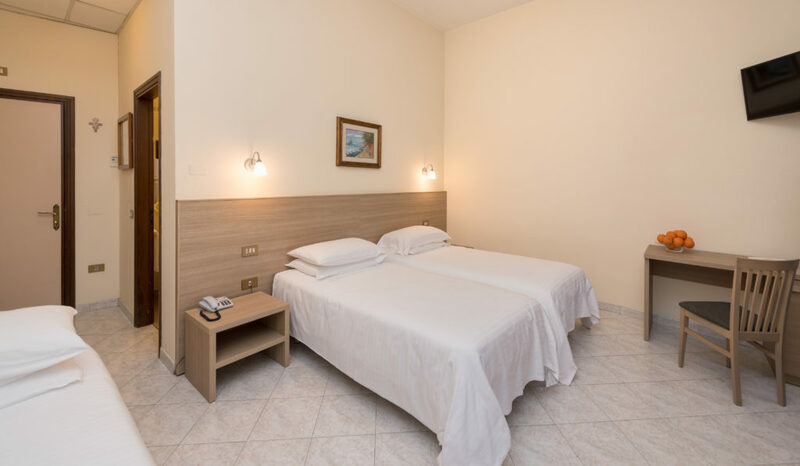 Room facilities: Shower/WC in private Bathroom, Internet Wi-Fi free of charge, Air-conditioning, Heating, Satellite TV, Telephone, Wake-up service, Desk, Hairdryer, Free toiletries, Safe. 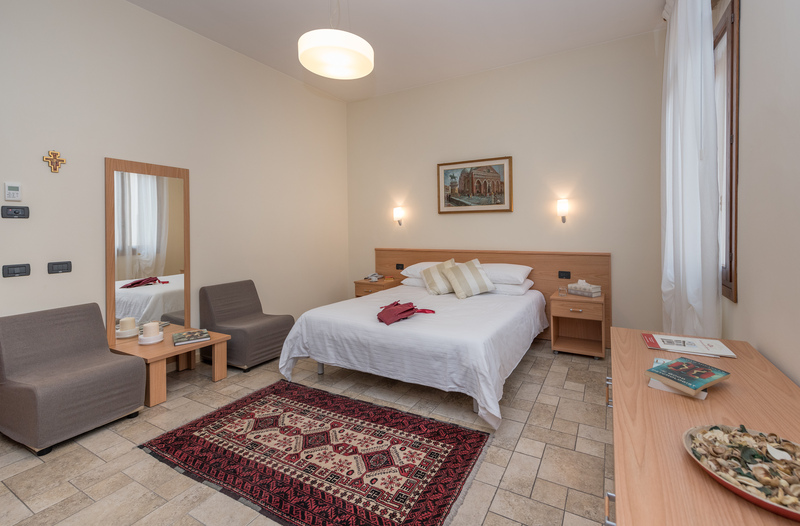 Room facilieties: Shower/WC in private Bathroom, Internet Wi-Fi free of charge, Air conditioning, Heating, Satellite TV, Telephone, Wake-up service, Desk, Hairdryer, Free toiletries, Safe. 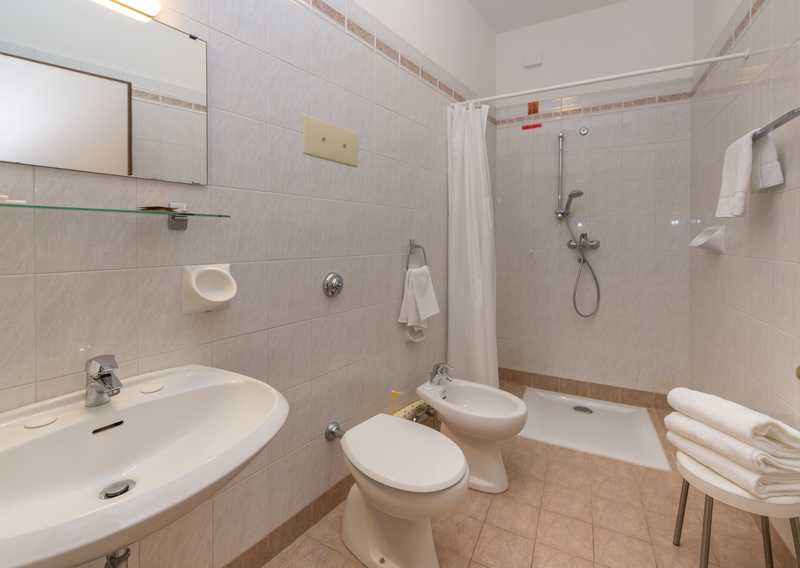 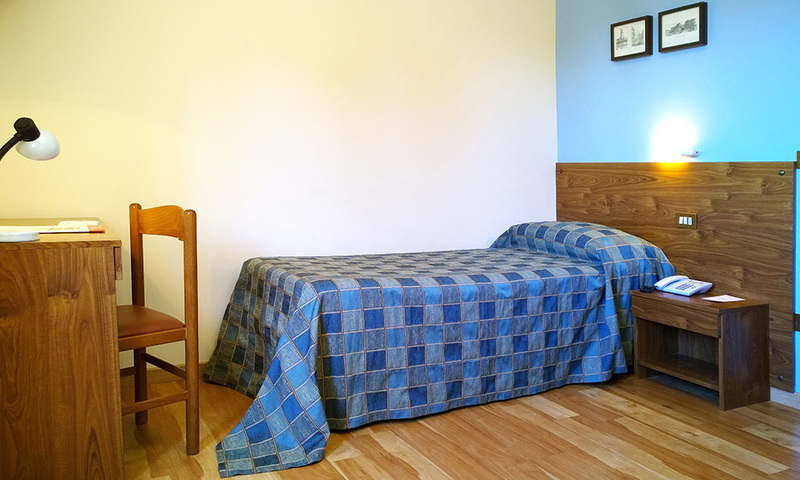 Room facilities: Shower/WC in private Bathroom, Internet Wi-Fi free of charge, Air conditioning, Heating, Satellite TV, Telephone, Wake-up service, Desk, Hairdryer, Free toiletries, Safe. 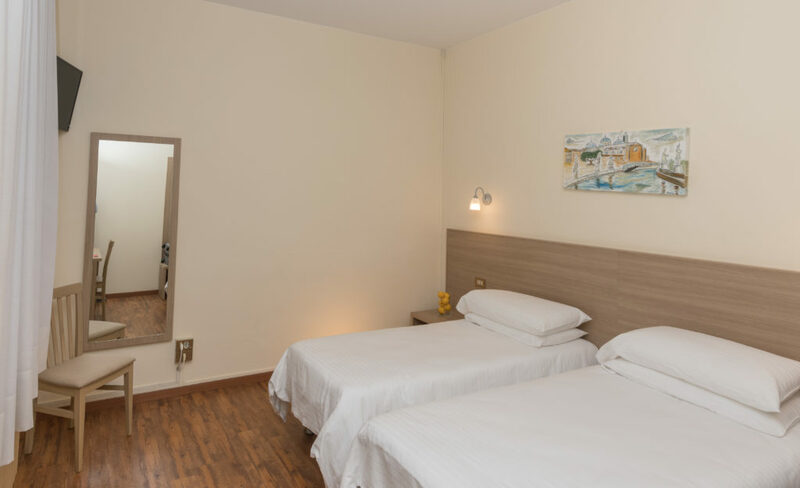 Room facilities: Shower/WC in private Bathroom, Internet Wi-Fi free of charge, Air conditioning, Heating, Flat-screen TV, Telephone, Wake-up service, Desk, Hairdryer, Free toiletries, Slippers, Free Mini Bar, Safe.